There are many options out there for people seeking to finance the purchase of a home, and today’s blog focuses on The Doctor Loan, a mortgage uniquely tailored to the needs of medical professionals. When it comes to buying a home, doctors are in a special position; particularly those who are just beginning to work in the field of medicine. Despite above-average salaries and excellent earning potential, many physicians would not qualify for the lowest loan rates with the best features, due to medical school debt, etc. The Doctor Loan is uniquely tailored to medical professionals, and includes the benefits and attractive features that members of the medical community desire in home financing. As a DRS Certified Realtor, I have the special training and knowledge needed to guide doctors and medical residents through the home financing and buying process. Who is Eligible For The Doctor Loan? The Doctor Loan is a fantastic option for doctors who have just completed medical school, doctors who are in residency, or those who have been practicing medicine for many years. It is available to medical residents, existing or newly licensed Medical Doctors (MD), Doctors of Dental Science (DDS), Doctors of Dental Medicine (DMD), Dental Surgeons specializing in oral and maxillofacial surgery (DMD), Doctors of Optometry (OD), Doctors of Ophthalmology (MD), Doctors or Podiatric Medicine (DPM) and Doctors of Osteopathy (DO). Your student loan debt from medical school will NOT count negatively toward your income to debt ratio. Your loan amount is based on future income, instead of current or past income. You are able to move in to the home as early as 60 days before you start your positin, allowing for smoother transition to a new city or area. There's no pre-payment penalty, so you are free to pay extra toward the principal, if you wish. At Ryan Koch Homes, we have a great deal of experience working with doctors and this specialty home financing. This is extremely beneficial to my buyers, since many banks, home sellers, and real estate professionals are not well-educated regarding the specifics of the Doctor Loan. As your realtor, I am able to confidently familiarize all parties with the specifics of this loan, to get you the home you want. When buying a home, there are many questions to answer and decisions to be made along the way. I understand that the complexities of home buying, combined with the stresses of moving to a new city, relocating a family, and beginning a new position at a hospital or medical office, can be overwhelming. 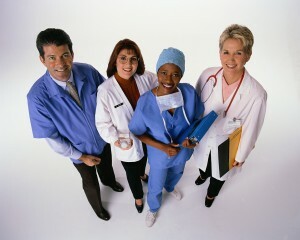 Medical professionals will often have a limited amount of time to see homes and submit an offer. You need a Realtor who understands your unique needs and is comfortable working in an expedited fashion. My knowledge of the Doctor Loan and history with clients in the medical profession will ensure that your home-buying process is smooth, comfortable, and successful! "My wife and I moved to Madison for my position at UW Hospital. Ryan's real estate expertise was obvious from the first time we spoke. His knowledge of the area and the local market made us feel confident in the purchase of our home. Ryan raised questions that we would not have thought to ask, and we were grateful that he was there to navigate any unexpected twists and turns throughout the process. He found us a home that met all of our specifications, and we couldn’t be happier. Thanks again!" "Ryan Koch was the agent with whom I purchased my first home, and he completely exceeded my expectations. I felt well informed every step of the way, and he eased my transition to this new city. Without hesitation, I’d recommend him to anyone." "Cyndi and I had a great experience working with Ryan. He always had a great attitude and was very patient. He was never pushy, and he communicated well with us. Thanks, Ryan!" City of Madison Neighborhood Sectors: Most medical residents want to live within about 15 minutes of the University Medical Center area, so the Isthmus and Near West neighborhood sectors will be of the greatest interest to you. I offer my clients detailed neighborhood information and design a targeted home search to meet their every need. For those just stopping by our website, this map and neighborhood guide is a good place to start. Downtown Madison and UW Campus Bus Map: Madison has a strong bus system, particularly around the University, and this is typically a well-utilized mode of transportation for medical residents. For those on two wheels, Madison is also famous for its system of excellent bike trails. If you are a doctor at any point in your career, please don’t hesitate to be in touch, and allow me to guide you through the home loan and home purchasing process with ease.